This sculpture was selected for the new W.K. Kellogg Foundation headquarters because it was one of Fredericks's well-known creations, and also because it is a symbolic tie to W.K. Kellogg who had a great love of nature and created the Kellogg Waterfowl Bird Sanctuary in 1928 near his estate on Gull Lake, Michigan. Found throughout the United States and the world, Flying Wild Geese is one of Marshall Fredericks’ most popular sculptures. Many corporations, universities, cultural institutions and private individuals have chosen one of these sculptures for their collections. Unidentified photographer, “Grounds of the W.K. 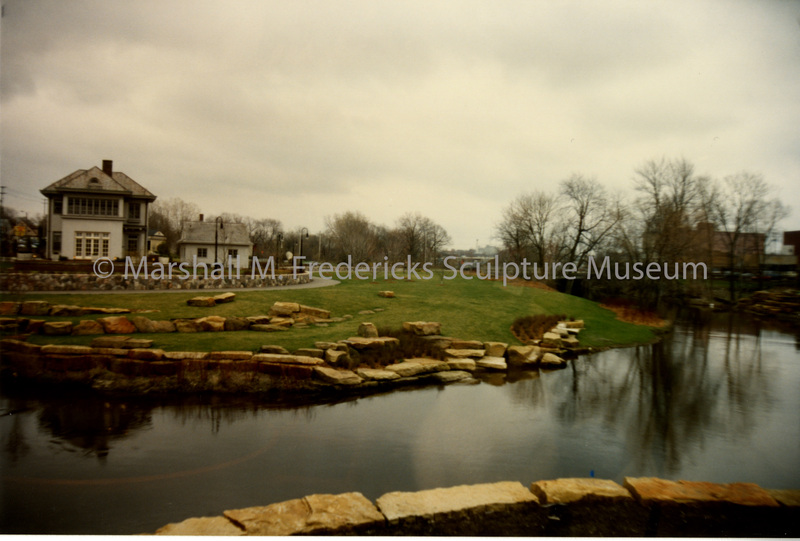 Kellogg Foundation headquarters,” Marshall M. Fredericks Sculpture Museum, accessed April 25, 2019, http://omeka.svsu.edu/items/show/8097.